This lecture series features a speaker or organization that is focused on tackling the most pressing issues facing the humanitarian system today. This lecture series was founded in 2016 in honor of Sandy Berger, former national security advisor to President Bill Clinton and former WFP USA board treasurer and secretary. During his board tenure, Sandy utilized decades of experience in the White House and Washington D.C., to strengthen U.S. leadership in alleviating global hunger and addressing growing humanitarian crises around the world. In the spirit of Sandy’s legacy, this lecture series features a speaker or organization that is focused on tackling the most pressing issues facing the humanitarian system today. 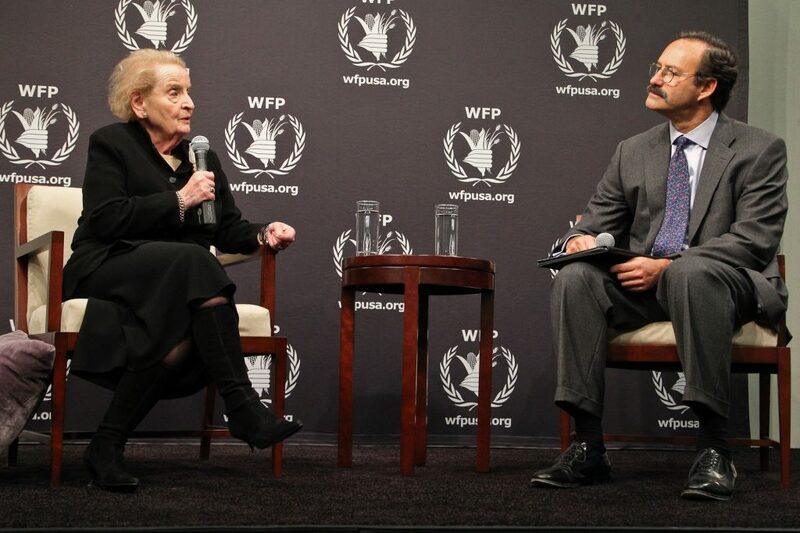 WFP USA established the Samuel R. Berger Lecture Series in 2016 as a tribute to Sandy’s work as chairman of WFP USA’s board and his commitment to preserving the American legacy of leadership in fighting global hunger.